A child’s view of Harewood House, reimagined by the two small boys who lived there in 1929, is the journey that visitors follow this year at the stately home near Leeds, Yorkshire, in this 1920s dreamscape created by Artistic Director, Simon Costin. From a room filled with music and dancing to a field of Swarovski* crystal-encrusted sunflowers flowing across the Chippendale furniture, and a light-hearted army of 500 gingerbread people in the kitchen Below Stairs, visitors follow a curated journey that leads them through the imaginations of George and Gerald, the sons of Princess Mary and the 6th Earl of Harewood, in this work of imagination created bespoke to Harewood’s history. The installations are set to surprise, intrigue and delight visitors of all ages, whilst offering more than a sprinkling of festive spirit. With weekends filled with music and Christmas Makers’ Markets (the second two weekends in December), entry includes the illuminated Terrace, festive catering and shopping outlets, cooking demonstrations (selected days), children’s activities and trails, Bird Garden, Farm and Adventure Playground and free talks in the House. We’ve teamed up with Harewood House to offer Mumblers a chance to WIN a Family Ticket to ‘Christmas at Harewood: Dreams of the 1920s’ (2 adults & 2 children) valid until 6th January 2019 (does not include Father Christmas this must be booked separately). To enter you just need to CONTACT US with the word ‘HAREWOOD’ before Midnight on 6th December 2018. The winner will be chosen at random and contacted on 7th December. 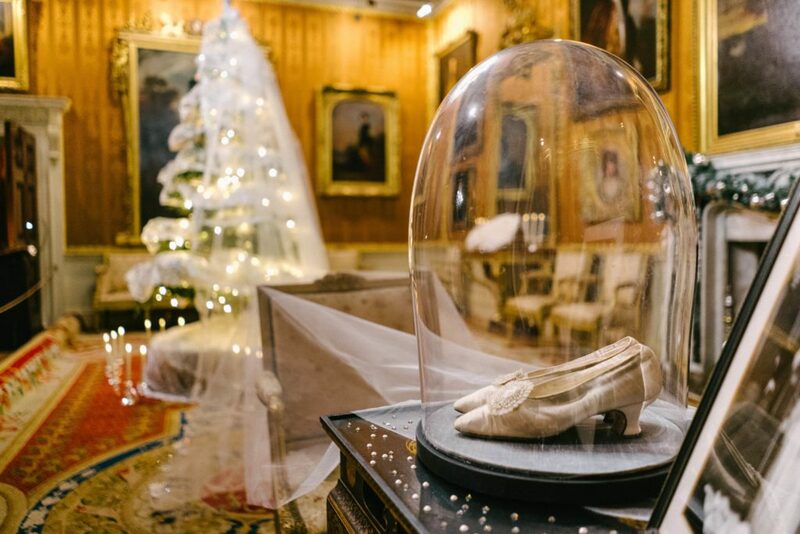 For further information about ‘Christmas at Harewood: Dreams of the 1920s’ or any of the other events visit www.Harewood.org or call 0113 218 1000. The House and grounds are open for the Christmas season between 24 November 2018 and 6 January 2019. Harewood will be closed on 25 & 26 December and 1 January. 1. This competition is open to any person resident in the UK who is over 18 years old. Employees of Harewood House or its affiliates, subsidiaries, advertising or promotion agencies are not eligible. Employees of Leeds and Wharfedale Mumbler are not eligible. By entering, the participant agrees to be bound by these Terms and Conditions. 2. The winner will be selected at random from all entries received. 5. The prize is not transferable and no cash alternative is available. The prize must be used by 6th January 2019.